This paper is part of an ongoing collaboration between the World Bank and the United Nations' Food and Agriculture Organization to raise awareness about the importance of water management in fragile systems and to propose strategic responses. 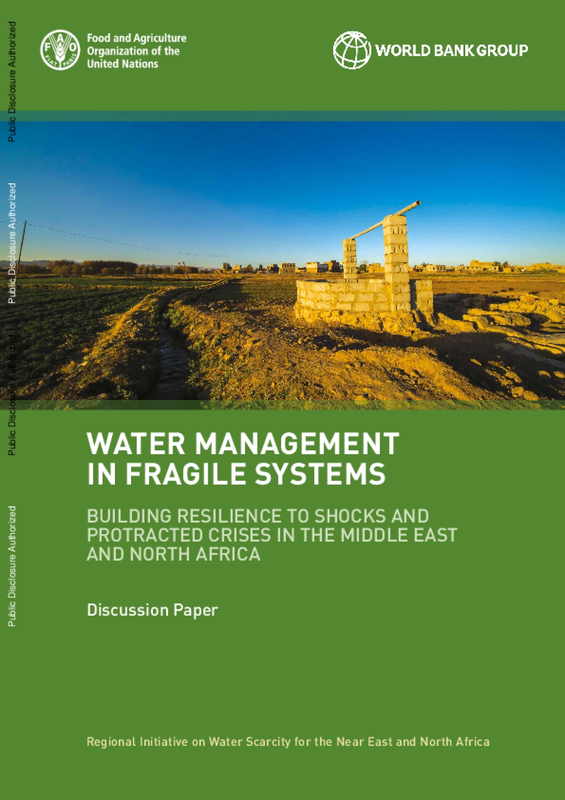 It is important to better understand these dynamics to ensure that water does not add to fragility, but rather promotes stability, and contributes to resilience in the region. This paper calls for redoubling efforts towards sustainable and efficient management of water resources, reliable and affordable delivery of water services to all and protection from water-related catastrophes. Improving Water Security: A Process to Address "Too Little, Too Much, Too Dirty, Too Erratic"
Copyright FAO and International Bank for Reconstruction and Development/the World Bank, 2018.